Most Americans accept that if the United States cannot stabilize Iraq, and, in frustration and acrimony, withdraws in defeat, crises follow. The only disagreement is over how bad they will be. Some point to the aftermath of Vietnam and, mirabile dictu, think the world eventually went on pretty much the same. In this rosy view, the preordained end of the Cold War made the communist postwar Vietnamese increasingly entrepreneurial, and thus more pro-American than friendly to their erstwhile Chinese patrons. Others, more soberly I think, recall instead in the interval the million-plus of boat-people, exiles, the executed, and detained — and the aftershocks that killed millions more in Afghanistan, Cambodia, and Central America, once it was established that the United States would not, or could not, thwart Communist aggression. The Iranian hostage-taking and the rise of radical Islam itself were predicated on the idea that a post-Vietnam America would not intervene against terrorists, whether in Tehran or Lebanon. And Vietnam, of course, today is no South Korea, as millions there without freedom could attest. Be that as it may, we sometimes forget that there are also more insidious ripples that can emanate from Iraq. I can think of three for starters, all with post-Vietnam echoes. The first will be the effect on the Democratic party itself, now riding high in its antiwar invective. Yet for a quarter century after Vietnam its antiwar hysteria warped its stance on issues such as the military, retaliation abroad for attacks on America, and the use of force in general. Jimmy Carter's paralysis during the hostage taking, the sending of Ramsey Clark to beg Tehran for a reprieve, Bill Clinton's half-hearted responses to the attacks from the first World Trade Center to the USS Cole, all this, rightly or wrongly was seen as the legacy of the party that had imploded after Vietnam. Now again we have gone from sizable majorities in the Congress warning about Saddam all during the 1990s and voting to remove him in October 2002, to essentially a single Joe Lieberman sticking through the messy reconstruction. Instead Howard Dean's once-pathetic yeehawing has now infected the likes of Senators Boxer, Durbin, Kennedy, Kerry, and Rockefeller, who have respectively rebuked Condoleezza Rice for childlessness, compared our troops to Pol Pot, Nazis, and terrorists, assured that our soldiers are no different from Baathist killers at Abu Ghraib, and suggested that things in Iraq were once better under Saddam. Much also has been written about the post-Vietnam War military, as it struggled after the draft, the drugs, and the odor of defeat. I worry in the same vein about a similar loss of confidence in our ground forces. Before Iraq, wild-eyed reformers talked of a new military paradigm of sanitized war, following from wins in Afghanistan, Bosnia, Kosovo, Panama, or Serbia. Bombing from on high with GPS ordinance and a few paratroopers or special forces were the supposed future — not old-fashioned, everyday artillery, armor, and infantry. In contrast, stabilize Iraq under horrific conditions, and the world is reminded that there is nothing that a brilliantly led and highly trained American infantry cannot accomplish. Win in Iraq, and there will be fewer future calls on the Army and Marines to repeat their victory; lose — and there will be far more need to do what they cannot. Third, there is a weird furor growing, on a bipartisan basis, at the Iraqis in general and the Arab world in particular. Prior to Iraq, there was some American guilt over past realism, whether stopping before Baghdad in 1991, playing Iran off Iraq, cozying up to dictatorships, or predicating American Middle East foreign policy solely on either oil or anti-Communism. Read the liberal literature of the 1990s and it was essentially a call for what George Bush is now doing — and being damned for. Then the liberal bogeyman was not Paul Wolfowitz, but Jim Baker ("jobs, jobs, jobs"/"F—- the Jews"). Now the latter is the model of Republican sobriety. Rather, the conventional wisdom will arise that an infantile Middle East ipso facto — whether due to Islamism, tribalism, gender apartheid, sectarianism, engrained dictatorship, or corruption — is simply incapable at this time of consensual government. Anyone who seeks such reform, whether in the Gulf, Palestine, Lebanon, or Egypt, is to be written off not only as naïve, but as reckless as well. A Libyan dissident, a feminist writer in Egypt, or an Iraqi intellectual who decries Western indifference to their plight or American tolerance of regional dictatorships will be told to quit whining and get a life, by a been-there/done-that American public. Both carping hothouse Arab intellectuals and Western liberals should be put on notice of this change to come. However imperfect, however flawed, however improperly explained our efforts in Iraq were, they nevertheless represented a costly American about-face to offer something in the Middle East other than theocracy or dictatorship — something we are not likely to see again in our lifetime. Democrats and liberals should likewise realize that for all their hatred of George Bush and the partisan points to be gained by coddling up to the libertarian and paleo-conservative Right, George Bush's embrace of freedom was far closer to their own past rhetoric than almost any Republican administration in history. And such an effort to foster democracy was in the long run smart as well, since ultimately a free Iraq would be the worst nightmare of the Islamic jihadists — as we read repeatedly in the rantings of Dr. Zawahiri. In short, the next Democratic president who wishes to do something about the genocide in Darfur or another mass murderer in the Middle East, will find no support from Republicans, or — in no small part due to liberals' slurs against the war they voted for — from the country at large. 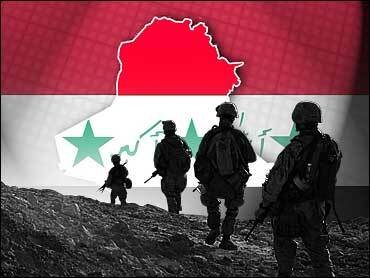 Yes, we may see thousands killed, displaced, and maimed if the United States flees from Iraq. And that tremor in the foundations of American power may embolden everyone from Hugo Chavez to Mahmoud Ahmadinejad. But that is only the half of it. Leaving Iraq prematurely will also damage the credibility of the Democratic party, the reputation of American ground forces, and the idealism of American foreign policy — just those principles that the critics of the war oddly claim they will be saving by fleeing.